in the south-east part of present-day Turkey. [ARMX132] King Orontos IV of Armenia (235BCE) m. ?
. [COMG161] King Ptolemy of Commagene m. ?
. . . . . [COMQ201] --- of Commagene (65BCE) m. ?
. . . . . . . [COMG221] King Antiochus III of Commagene (15BCE) m. ? [COMG161] Ptolemaeus (ptolemaios [=war-like]) (born c.200, son of [ARMX132] King Orontos IV of Armenia, see ARMENIA), Satrap of Commagene (201-163), King Ptolemy of Commagene (163-130). [COMG171] Samos II theosebes [=active piety] Dikaios (born c.165), King Samos II of Commagene (130-109BCE), married [MITH163] Pythodoris of Pontus (born c.150BCE, daughter of King Mithridates V, see PONTUS KINGDOM). [COMG181] Mithridates I callinicus [=gloriously victorious] (born c.130), King Mithridates I of Commagene (109-70BCE) married (before 109BCE) [SYRI182] Princess Laodice thea philadelphyos (daughter of King Antiochus VIII, see SYRIA KINGDOM). [COMG191] Antiochus I theos [=the god] dikaios [=righteous] epiphanes [=illustrious one] Philorhomaios philhellen [=friend of Greeks] (born c.100BCE), King Antiochus I of Commagene (70-38), married Isias philostorgos [=cherishing one's kindred] (born c.100, daughter of King Ariobarzanes of Cappadocia, by Athenais). But according to "Guide to Eastern Turkey" (mentioned above) Antiochus I ruled 62-32 BCE. 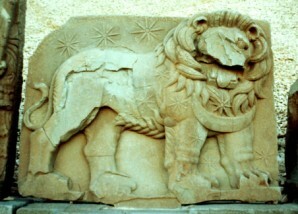 However, the British Museum in its literature states 69-34BCE. [COMQ201] ---(born c.65BCE, unnamed son of Antiochus). [COMQ212] Princess Aka II (daughter of [COMQ201] ---) married [CAPI021] Tiberius Claudius Thrasyllus (an astrologer) (see TIBERIUS CLAUDIUS THRASYLLUS). [COMG202] Princess --- (born c.40BCE, unnamed daughter of Antiochus I), married [PART12I] King Atropatene Artavasdes of Parthia (see PARTHIA). [COMG204] --- (born c.90BCE, daughter of Antiochus) I married [PART102] King Orodes I of Parthia (born c.90BCE, see PARTHIA). [COMG201] Mithridates II (born c.70BCE), King Mithridates II of Commagene (38BCE-20BCE), married Laodice. He died 20BCE. [COMG211] Mithridates III (born c.45BCE), King Mithridates III of Commagene (20BCE-12BCE), married [PART132] Iotape of Media (born 40BCE, daughter of Prince Artavasdes I of Media Atropatane, see PARTHIA). He died 12BCE. [COMG222] --- (daughter of Mithridates) married [EMES331] King Sampsigeramus II of Emesa (see EMESA). [COMG221] Gaius Julius Antiochus III (born c.15BCE), King Antiochus III of Commagene (12BCE-17CE), married his sister Iotape). He died 17CE. [COMG232] Iotape of Commagene (born 15CE, daughter of Antiochus III), married her brother, Antiochus IV below. [COMG231] Gaius Julius Antiochus IV (born 10CE, son of Antiochus III), was too young to succeed his father after his death, and Commagene came under direct Roman rule until 38CE. Antiochus then became King Antiochus IV of Commagene (38, deposed, ruled again 41-72). He married his sister Iotape of Commagene above. [COMG242] --- (born c.40CE, unnamed daughter of Antiochus IV) married [CAPI031] Tiberius Claudius Balbillus (see TIBERIUS CLAUDIUS THRASYLLUS). [COMG243] Iotape (born c.50CE, daughter of Antiochus IV), married [JUDE491] King Gaius Julius Alexander of Cetis (see JUDEA). 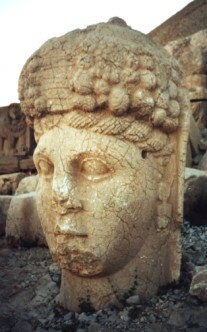 King Antiochus built a 50m. 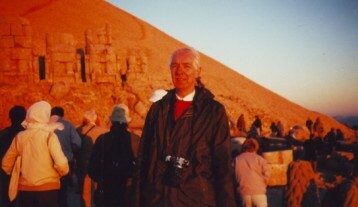 high tumulus containing his grave and the sacred court on the summit of Mount Nemrut, on a plateau 150m. 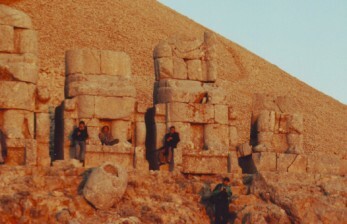 wide, whilst Mount Nemrut itself is 2,150m. high. Here there is a row of deities (including Antiochus himself, as all monarchs in the region were regarded as gods). The statues are now derelict with body parts and heads strewn around. At one time, Antiochus' statue comprised 25 stones, total weight 25 tons. The now detached head alone weighs 3000kg. Lion on the west side in the morning shade.